Native River Set For Grand National Glory? The Grand National is one of Britain’s oldest and most prestigious horse races. Every year, avid racegoers will descend on Aintree Racecourse in April for the 171st edition of this world famous event. In 2017, the Lucinda Russell-trained One For Arthur romped home to secure an impressive win at 14/1 under a superb ride by Derek Fox. Sadly, the defending champion has been ruled out of the 2018 event after suffering a season-ending injury in October. But the show must go on. The National Hunt campaign is barely a few weeks old and there will be plenty of twists and turns in the build-up to Aintree’s showpiece event. With other highlights including the King George VI Chase at Kempton Park and the Cheltenham Gold Cup still to come, it may be worth holding off on any ante post bets just yet. If you are intent on securing maximum value, Colin Tizzard’s Native River might be the one to back. 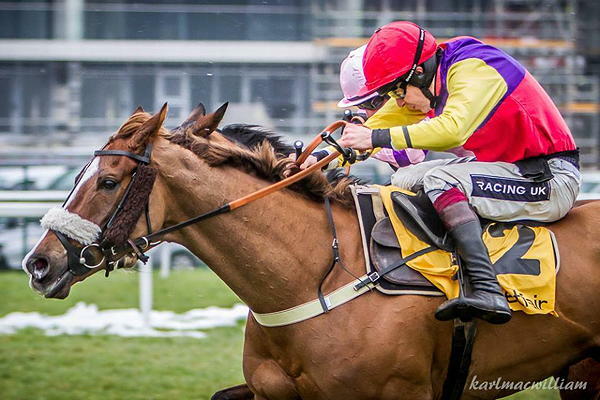 Winner of the Welsh Grand National at Chepstow in December 2016, he has proven himself in smaller fields and larger events – Native River truly is one of the most versatile horses in training. The Tizzard superstar is priced at 20/1 according to Grand National betting odds and his price no doubt will shorten if aimed at Aintree. Tizzard’s plan for Native River is currently unknown; he finished third in this year’s Gold Cup and so could go to Cheltenham again. Already a winner around the Aintree circuit, Native River is in prime position to challenge for Grand National glory should Tizzard target him for a visit to Merseyside. He had the beating of National rival and current antepost market leader Blaklion on that day and punters will be keeping a close eye on his progress in the coming months. That win came back in April 2016 and although both have advanced since then, Native River should still come out on top. Blaklion is now rated at 155 according to the handicapper’s official figures but Native River is a class above at 166 over fences. In fact, only four chasers (Cue Card, Fox Norton, Altior and Thistlecrack) are rated higher and three of those are stablemates to Native River. With all four destined to go to the Cheltenham Festival, the onus could be on Native River to lead Tizzard’s charge at Aintree less than a month later. It could well be a battle between Blaklion and Native River at Aintree next year, and neutrals will be expecting a hard-fought race. Nigel Twiston-Davies will be confident that Blaklion can challenge again after his fourth placed finish in 2017 but the handicapper may act on that impressive effort. Meanwhile, Native River may also go up after his gallant performance in the Gold Cup, where he finished less than three lengths behind eventual winner Sizing John. Only time will tell but Native River has the class, the stamina and the experience to win the 2018 Grand National if he goes to Aintree. It is now up to Colin Tizzard to decide his best route. The Gold Cup is there for the taking but with stablemate Thistlecrack back in action, his trainer may be tempted to target both at different races.